Music Hall on Wilshire Boulevard, Beverly Hills, Los Angeles, was quite abuzz on the night of Friday 5th February 2016, with the U.S. and world premiere of the documentary film, Gnothi Seauton (Ancient Greek aphorism Know Thyself), 23-years in the making, about the incredible Croatian Kostelic family – particularly Janica Kostelic and Ivica Kostelic, the king and the queen of the snow-covered hills, multiple Olympic Games medal winners. 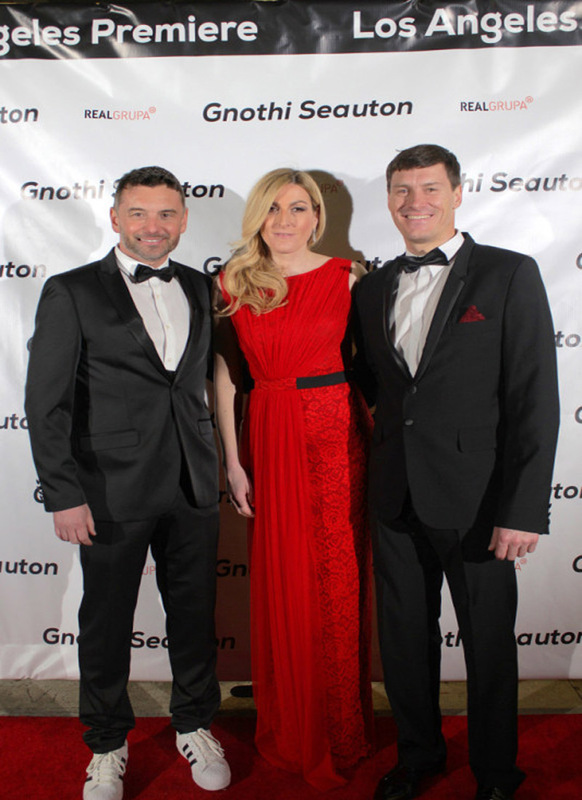 GNOTHI SEAUTON is a feature documentary about a Croatian brother and sister skiers who, in spite of coming from poverty in a country with little snow, set out to become Olympic skiing champions. Together have won 10 Olympic medals. Their struggle to win and overcome injuries makes this story full of sacrifice, courage and fantastic success. The film follows the unbelievable triumphs and tribulations of the famous Croatian skiing family over the last two decades. The Bruno Kovacevic authored film starts with footage of an 8-year-old Janica Kostelic, and ends with behind the scenes clips of brother Ivica winning his 4th Olympic Games silver medal in Sochi in 2014. Scored and edited to tug at the heartstrings, it portrays how Janica and Ivica Kostelic beat the odds, overcame severe injuries and endured multiple surgeries. 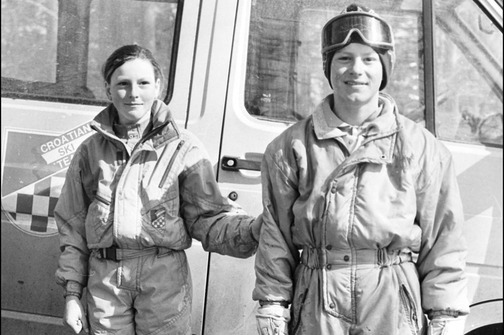 Coached by father Ante (a former handball player), Janica is considered one of the all-time skiing greats, winning four Olympic gold medals and five World Championship golds. She is the only woman to win four gold medals in alpine skiing at the Winter Olympics (in 2002 and 2006), and the only woman to win three alpine skiing gold medals in one Olympics (2002). Ivica’s successful sporting career stretches most impressively to include winning four Olympic silver medals as well as slalom World Cup titles in 2002 and 2011 and the combined World Cup title in 2011 and 2012. The film will be shown at over 20 film festivals around the world, and will be a candidate in the best documentary film category at the Oscars. The film’s author, Bruno Kovacevic did not hide his joy at seeing the American public receive the film so well over three days in Los Angeles and rewarding his work with big and loud applause. 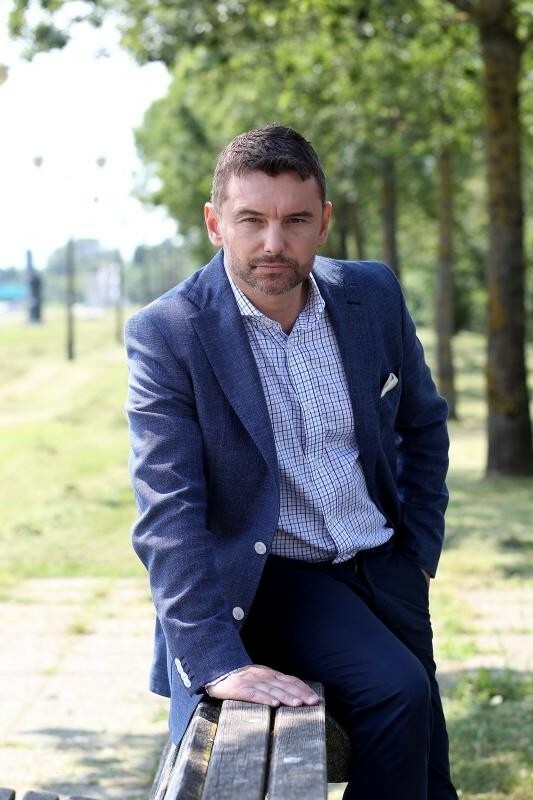 “I know that the Croatian public will embrace the film well as deep emotions tie us to Janica and Ivica, but we did go to LA with reservations, not knowing what to expect from the American public, which is accustomed to top-level productions and are not emotionally tied to Janica and Ivica Kostelic. I am truly overjoyed, because this kind of applause and this many compliments – we did not expect. A man from the audience approached me after the film projection and said that he had never cried so much in his entire life … there were lots of tears and laughter,” said Bruno Kovacevic. “I am especially glad that the American public likes the film and I hope everyone will take an inspiration and lesson for themselves from it,” said Janica Kostelic after the filming, expressing regret that her and Ivica’s parents could not be there as they needed to stay home, babysitting Ivica’s little son Ivan. But, just as beautiful as this is, I do not think our Kostelic family story is more special than each and one of yours. But, being now documented, I hope it can be some kind of inspiration for everyone that is going to watch it. And not because of us, but because I want everybody to understand giving up in life is never an option, even when you do not reach your goal(s). Ivica’s life mission was, for example, winning an Olympic gold medal. It didn’t come, but he has not given up. And now he has four Olympic silver medals. Just as bright, just as valuable by any standard. Not to give up and always chase your dreams is the right formula. The reward will always come, even if it comes in some other form than we have hoped it. And still we can be happy, if we have given it our all. I don’t know if the documentary is going to be Oscar worthy, if people will like it or not, but keep believing in your dreams, in your own special story. And the reward will come…”says Janica Kostelic. Amazing siblings – what great achievers, Croatia must be very proud of them. Good for you! I tend to feel everyone gives it their all. We do our best under difficult circumstances. Fantastic to achieve all that, though. I hope it is widely distributed. They are truly an amazing family and Mr. Kostelic instilled amazing values into his kids. Thanks Ina. WOW!!!!! SCARY IN A GOOD WAY! HUBBA-HUBBA! SEEN MY POEM ABOUT LADY BLOGGERS–IT IS MEANT FOR YOU, TOO! LOOK FOR THE PULSING HEARTS!!!! Very true & wise words from Janica. I’ll definitely have to watch this film. I only wish the promotional material for films such as this could be done better, they deserve it. So wonderful to see their dedication and positive nature. Hugs. Amazing! So proud of them! Wise words from Ina Vukic and Janica. I’ll quote on my site. Bravo for this very inspirational post Ina.